Flexi-Fix seats are the answer to seats becoming loose over time with its innovative grip pad technology and pioneering patented V plate hinges. The innovative grip pad technology and pioneering patented V plate hinges provide maximum adjustment to fit the fixing holes of any standard toilet pan. 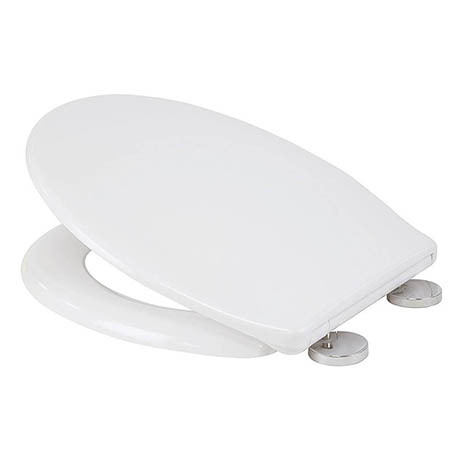 This stylish toilet seat is made from anti-bacterial treated thermoset plastic and has soft close hinges to prevent slamming and a quick release mechanism for easy cleaning.